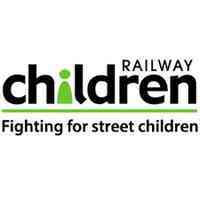 At Railway Children, we fight for vulnerable children who live alone and at risk on the streets, where they face abuse and exploitation. They run away or are forced to leave homes where they suffer poverty, violence, abuse and neglect. They find themselves living on the streets because they have nowhere else to go and nobody to turn to. To provide technical support and guidance in the delivery of RCA’s De-Institutionalization of long-term shelters and Fit person programmes. Provide leadership in the day to day management of the DeInstitutionalization (DI) of long-term shelters and fit persons workstreams. long term shelters and CSOs that will be involved in the deinstitutionalization and Fit persons programme delivery. • Provide technical support to selected long term shelters and CSOs in delivery of the DI and fit persons programmes. • Work with the Strategic Liaison Manager to ensure long term shelters are supported to understand options and services available to facilitate access to legal aid for children in conflict with the law. • Provide relevant training to partners in identified areas and/or organise for this training to be delivered by other RCA staff and/or external and competent training bodies. • Develop, review and modify training materials and other related products required for the successful delivery of the training sessions in line with RCA’s approach. • Liaise with RCA M&E staff to design and develop a framework for documenting learning processes under deinstitutionalization and fit persons workstreams. • Contribute to writing the RCA annual and donor reports as well as other communications to share our work. • Support networking and linkages with external local organizations and technical experts on key programme priorities. • Liaise and collaborate with relevant agencies to identify long-term residential centres that can be transitioned to short-term centres and provide alternative family-based solutions for children in their care. • Explore and access local funding opportunities for financial sustainability of the programme. Contribute towards the flow of information to the UK office to enable effective fundraising. • Identify and contribute to external communications opportunities, which may include making presentations at conferences, holding briefings with donors and other stakeholders, participating in networks, and contributing to journals. • Accompany, or make arrangements for, Railway Children Trustees and/or other visitors to visit partner organisations where required. • Work in collaboration with the Strategic Liaison Manager to maintain and build working relationships with senior government departments and facilitate linkages with respective local government departments both for RCA and for our partners. • Represent RCA in key local, national and regional networks and fora. • Formulate annual plans in coordination with Programme Manager. • Strengthen systems and procedures for working with partners – assessments, planning, monitoring, evaluations, documentation etc. • Assess and make recommendations about potential/new partner organisations especially long-term shelters. • Provide information as required for RCA donor reporting and M&E. • Uphold and work within RCA’s policies and procedures. • Actively promote and embody RCA’s core values of Integrity, Bravery, Innovation and Effectiveness across the organisation and partners. • Travel to RCA’s field operations as and when required. • Undertake any other duties, as appropriate to the post, as delegated by the line manager. We are looking for an experienced Programme Officer with energy, determination, passion and flair. As well as a proven track record of supporting vulnerable young people, your values will match ours. Bravery, innovation, honesty and integrity will be at the heart of everything you do. • At least five years’ experience in a programmatic role within an international development organisation with proven record and exposure in designing and delivery of trainings. • A person who has experience and understanding of Child Protection and Safeguarding process who can handle sensitive and confidential issues with tact and diplomacy. • Experience with start-up of programmes. • Experience with managing and coordinating staff and partners. • Excellent written, verbal and presentation skills. • Ability to address complex issues through analysis, definition and a clear way forward, ensuring buy-in from key stakeholders. • Fluency (both written and spoken) in English and Swahili. • Ability to build strong team relationships. • Possess the requisite empathy, compassion and passion to address the needs and challenges of working with children and Young vulnerable adults. • Demonstrable commitment to and the ability to uphold and promote RCA’s core values of Integrity, Bravery, Innovation and Effectiveness in all activities. • Willingness and ability to travel extensively whenever required. To support street connected children and those living in orphanages to ensure their immediate needs are addressed and are reunified with families. • Identify, and document specific needs in families in accordance with support available. • Conduct and Support a number of children and young people and their families, delivering effective interventions on both a one on one and group basis to ensure young people and their families receive the required support to meet their individual needs. • Build positive relationships with street connected children, children living in orphanages and families. • Conduct support activities for children at the drop-in centre. • Liaise and coordinate with stakeholders relevant to family (neighbours, village, social welfare etc) with the intention of building a support network for project beneficiaries. • Make follow-up of children reunified with families to monitor progress and provide further support. • Foster and manage linkages with selected orphanage centres/long term shelters. • Record all intervention, contacts and multi-agency correspondence in accordance within prescribed Management Information Systems. • Establish and maintain strong working relationship with social welfare departments in Dar es salaam Urban districts, schools and other community service providers to enhance service provision to children and families. • Support networking and linkages with Social welfare department and other stakeholders to support in programme implementation. • Accompany Railway Children Trustees and/or other visitors in field visits. We are looking for an experienced Project Officer – Family Work with energy, determination, passion and flair. As well as a proven track record of supporting vulnerable young people, your values will match ours. Bravery, innovation, honesty and integrity will be at the heart of everything you do. • At one-year experience in a project officer role working with vulnerable children and families. • Experience of working with and supporting children and vulnerable young people and families in both a one on one and group work capacity. • Experience and application of Health and Safety and risk management procedures. • Bachelor degree, Diploma in social sciences, community development, youth work, social care or equivalent from recognised university or college. • Ability to engage young people their parents or carers within the community and deliver direct work to them to address issues within the family unit. • Track record of developing relationships with a variety of organisations to support the needs of vulnerable young people and families and advocate on their behalf. assessment, action planning and reviews. • The ability to handle sensitive and confidential issues with tact and diplomacy. • Ability to be creative and find positive solutions to problems. To apply for this position, please complete the application form at www.railwaychildren.org.uk/jobs and return it to [email protected]. Please note that Railway Children will only accept applications made using this application form and will not accept CVs or Covering letters. suitable to work with children and vulnerable people are recruited to work for us. This post is subject to a range of vetting checks including criminal records check.